Bowhunters in the Philadelphia area will soon have a new place to hone their abilities right on the city's outskirts. A new directive from the U.S. Department of the Interior will open up bow and arrow hunting at John Heinz National Wildlife Refuge at Tinicum. Mysterious big cat caught on security camera in Clarks Summit, Pa. The 12-acre refuge in Delaware County is one of 30 new U.S. locations where deer hunting will be permitted in 2019. “American sportsmen and women contribute over a billion dollars a year to fund conservation. Without hunters and anglers, we wouldn't be able to conserve wildlife and habitat; and, without access to our public lands like National Wildlife Refuges, many hunters would have nowhere to go," said Secretary of the Interior Ryan Zinke. "The last thing I want to see is hunting to become an elite sport, rather than a tradition passed on from generation to generation," Zinke added. "Today's announcement protects critical conservation funding, and ensures sportsmen have access to public lands for generations to come." Next year's hunt will be limited to 10 days during which the refuge will be closed to other visitors. 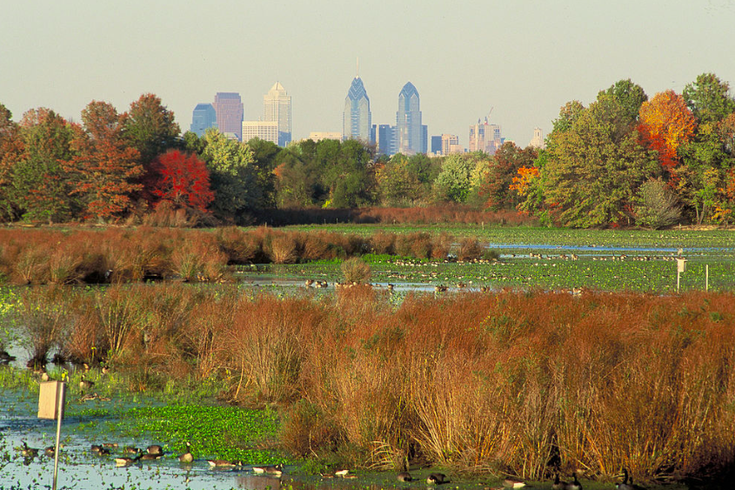 A spokesperson for the refuge told WHYY there are about 100 white-tailed deer at John Heinz. The ideal number for the habitat to support is about 20-25. Previously, the U.S. Department of Agriculture's Wildlife Services would hunt the deer and donate the meat to Pennsylvania food banks. With the approval of hunting by the public, citizens will be permitted to harvest the deer they hunt at the refuge.